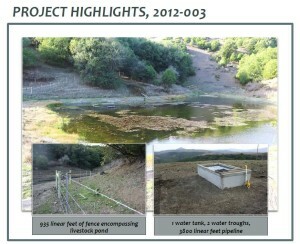 The Marin RCD coordinates several restoration projects annually via the Conserving Our Watersheds (COW) Program to promote and support the advancement of water quality improvements within the district’s watershed boundaries including Tomales Bay, Lagunitas, Stemple, and Walker Creek Watersheds. 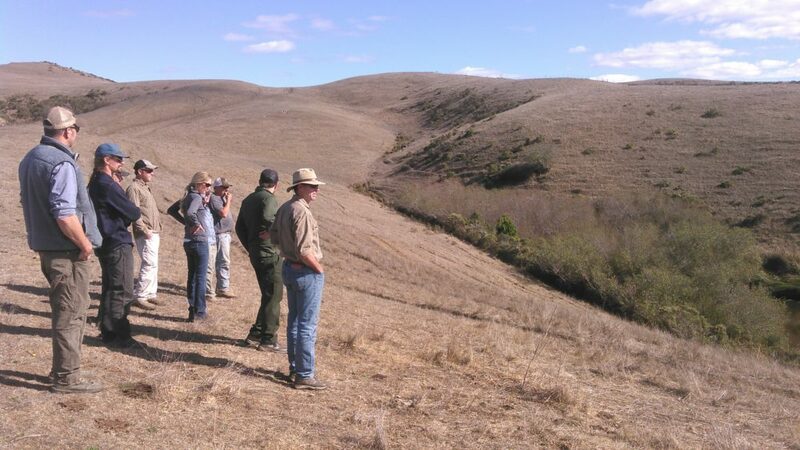 The 4th phase of the COW program is also assisting landowners in the Novato Creek Watershed and the San Antonio Creek Watershed (Marin & Sonoma Counties). 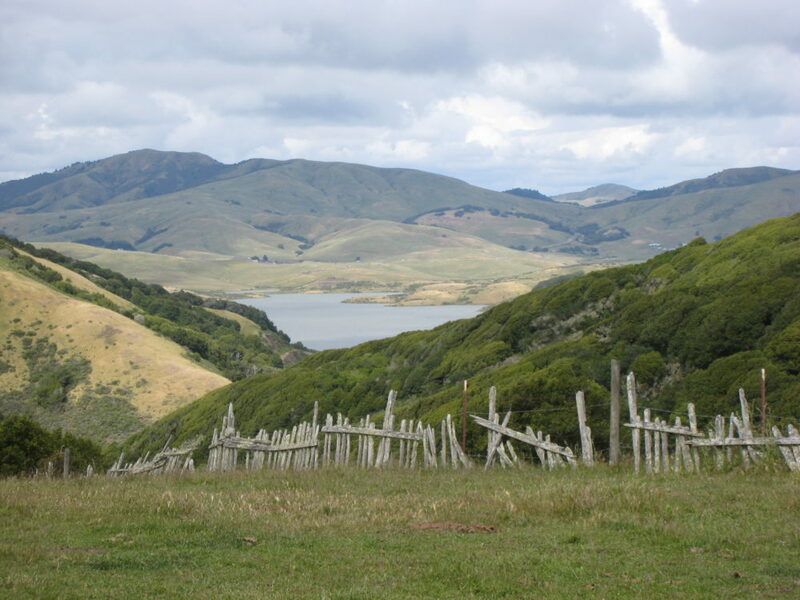 The West Marin agricultural community has actively implemented projects with the Marin RCD since the 1960s. Successful partnerships have formed between local, state and federal funders, and agricultural producers who have found commonality in restoration goals. Years of practical experience and trust have led to comprehensive watershed enhancement projects. 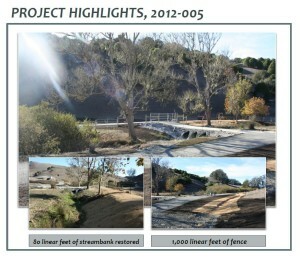 Some outcomes of completed projects include increases in birds and anadromous fish at restored sites. 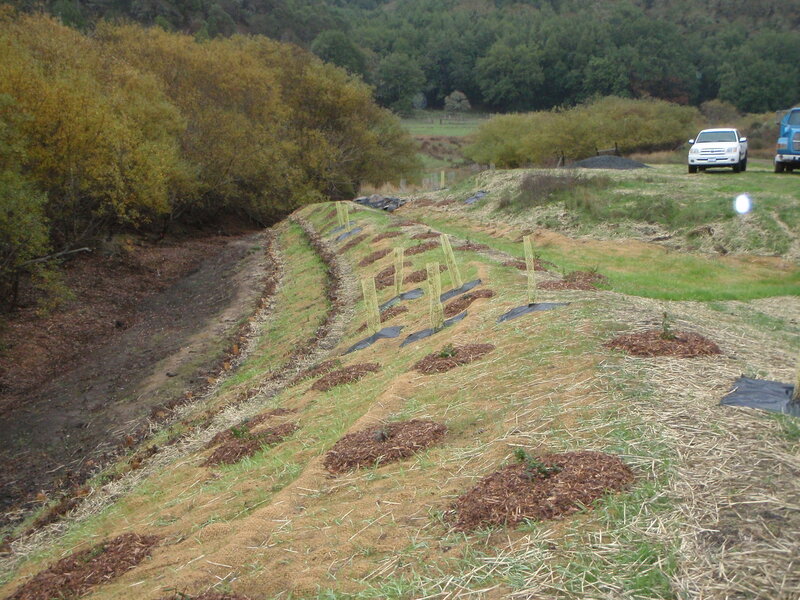 In recent years, the Marin RCD culminated this effort into one program entitled the Conserving Our Watersheds (COW) Program. The COW program utilizes the Marin Coastal Watersheds Permit Coordination Program (PCP), which provides coordinated regulatory review for implementation. 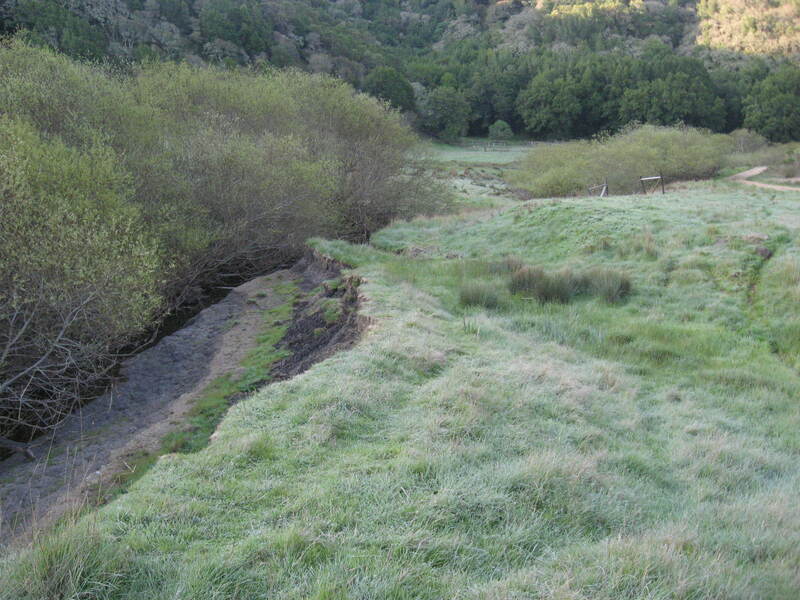 Seventeen (17) types of conservation and restoration practices are intended for grazing lands to reduce erosion, enhance aquatic and terrestrial habitat and assist ranchers with sound stewardship in the Marin County coastal watersheds. Projects are selected through a process that has proven highly successful for other recent Marin RCD grant programs: First, landowners and local groups submit candidate projects through an open proposal process. Second, a Technical Advisory Committee visits, reviews and ranks the projects, and then make recommendations to the Marin RCD Board for approval. The implementation of management practices are designed to have a significant beneficial effect on the environment and ecological processes within the watershed. Reduce erosion and sedimentation to improve important spawning areas & reduce sedimentation of estuarine habitats. Reduce pathogen concentrations entering the watershed by fencing out stream corridors thereby improving waters for recreational uses. Planting along streams to cool stream temperatures for wildlife habitat & provide improved habitats for threatened & endangered species. Reduce runoff pollution by fencing out riparian areas, installing biotechnical streambank repairs, planting stream corridors & repairing gully erosion. Improve upstream grazing lands to indirectly improve water quality at nearby beaches, estuaries & coastal waters by reducing pathogens, E. coli, sediments and nutrients. Here are two examples of completed projects. Click on a project title to read the Project Description that captures the project from start to finish. If you would like to participate in the COW program please contact the Marin RCD at (415) 663-1170.